Right lane (of 2) closed. Expected clear: today 2:00 PM. Last update: today 11:33 AM. Right lane (of 4) closed. Expected clear: today 4:00 PM. Last update: today 9:02 AM. Download the Georgia 511 App for iPhone, iPad, or Android. Search "511 Georgia" in the app store. 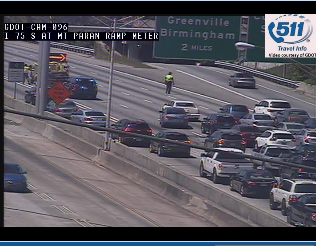 GDOT has 7 Regional and 16 Highway Twitter feeds for traffic alerts. Each feed is targeted to a specific highway or region, so now you can follow just the accounts that interest you! Below is a list of the new Twitter accounts, as well as links to them. If you’re not currently on Twitter, sign up today! The Transform 285/400 improvement project is designed to help reduce traffic congestion and enhance safety in the area near the I-285/SR 400 interchange in metro Atlanta. 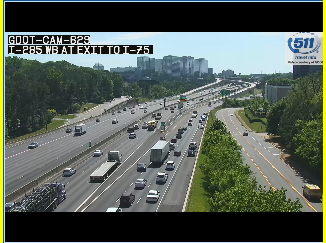 This priority project adds new flyover ramps, new collector-distributor lanes and other facilities to aid east-west travel along I-285 and north-south travel along SR 400. Click here to view the Weekly Traffic Impact Alert. Click here for the latest Express Lanes Schedule. Click here to view the latest Express Lanes map. Click here for general Express Lanes Information. 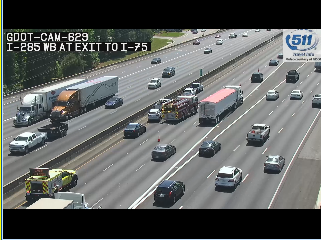 WHAT: Georgia Department of Transportation construction partners will begin controlled blasting along I-285 eastbound from the Perimeter Center Parkway overpass to the MARTA bridge. 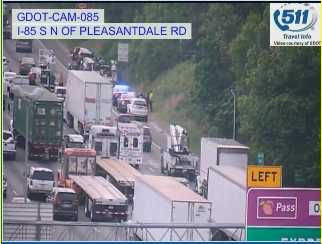 Blasting will also occur along I-285 westbound from the Perimeter Center Parkway overpass to Peachtree Dunwoody Road (exit 28). 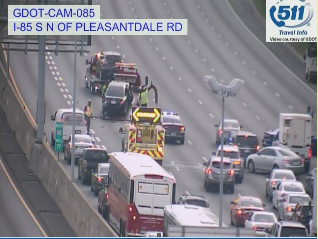 The controlled blasting will require traffic to be paced on I-285 eastbound and westbound and on Perimeter Center Parkway for controlled blasting. The blasting will occur during the daytime twice a week. 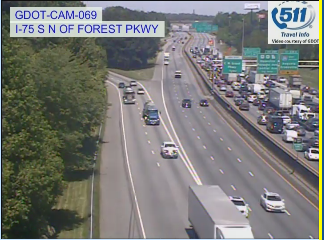 WHERE: I-285 eastbound from Roswell Road to Perimeter Center Parkway. 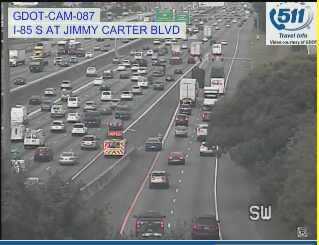 I-285 westbound from Chamblee Dunwoody Road to west of Perimeter Center Parkway. Travel on Perimeter Center Parkway from Lake Hearn Drive to Hammond Drive will be stopped prior to and during blasting. MARTA will provide a flagging operator during the blastings to coordinate train operations. their speed while traveling through work zones, pay attention and watch for workers. Before heading out, get real-time information on work status and traffic conditions. Call 511, visit 511ga.org, or download the Georgia 511 app. Right lane (of 2) blocked. Expected clear: 4/23/2019 6:00 PM. Last update: 4/23/2019 1:40 PM. Please note by clicking on "Post" you acknowledge that you have read the Terms of Service and the Clarkdale, GA report and/or forecast you are posting is in compliance with such terms. Be respectful. An inappropriate Clarkdale, GA report and/or forecast will be removed by a moderator. Clarkdale, GA traffic updates, highway and road conditions with live interactive map including flow, delays, accidents, construction, closures and driving conditions for the Clarkdale area and Cobb county.